Sometimes it doesn't make sense to create illustrations from scratch for tight budget, quick turnaround projects. For times like these, your team needs some go-to resources to grab pre-made beautiful vectors, images, fonts, or icons to cut costs and time. Instead of spending hours of time designing a few icons for a site, it may be better to purchase—or nab a free—icon set and tinker with the colors to match the brand. Here we'll share design resources that we can't live without for fast-paced projects. We love using stockunlimited for its vector graphics. A subscription for unlimited downloads is a bargain compared to similar stock sites. Apart from vectors for illustrations and graphic elements, they also offer stock photos and stock audio as well. Don't forget the free vectors and images! 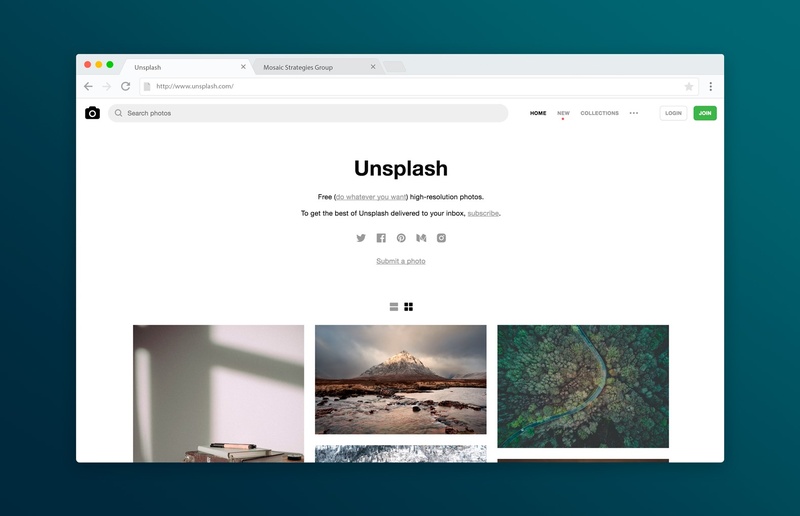 We love Unsplash. New, beautiful photos are constantly being uploaded at high resolution, free to use anywhere, anyhow. Such good photos. If you don't know about Unsplash, please check it out—you'll thank us later. 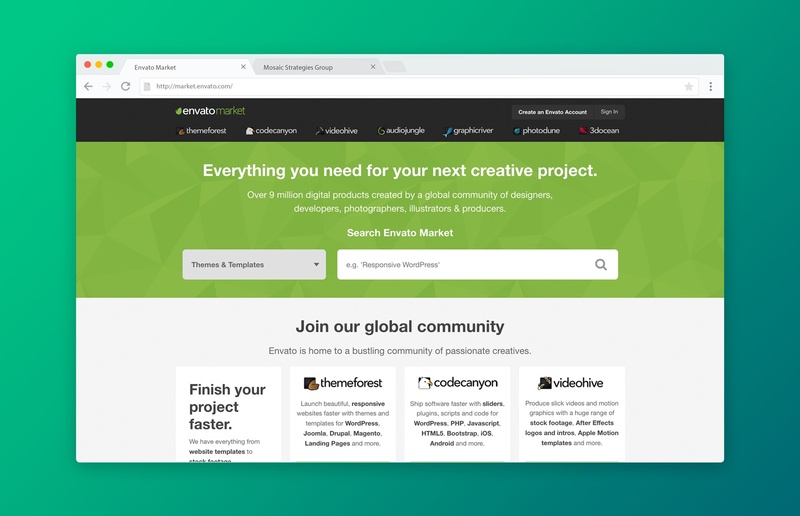 Folks, if you don't know about Envato, you are in for a treat. They have very reasonably priced resources for just about anything creative you can think of. Slideshow deck for that presentation you forgot to budget time for?—there's a template for that. After Effects project to quickly spice up a logo reveal on a marketing piece?—yup, you're good. Background music for an explainer?—of course! And don't forget about the plugins and website themes that can be beautiful building blocks for custom projects. If you're using Creative Cloud for your design essentials like Photoshop and Illustrator, you also have access to amazing resources that are included in the price of your subscription. Many of Creative Cloud's resources are free, yet not everyone is aware of these awesome tools. This is a huge win. Download free icons, patterns, brushes, vectors easily by clicking on the little Creative Cloud icon in your menu bar, navigate to Assets, then select Market. Enjoy, friends! Okay, so Typekit is basically the coolest thing out there, just after the wheel and sliced bread. Seriously though, not everyone out there is aware that you have access to a myriad of world class fonts—all free with your subscription. Some fonts are available as web fonts as well. 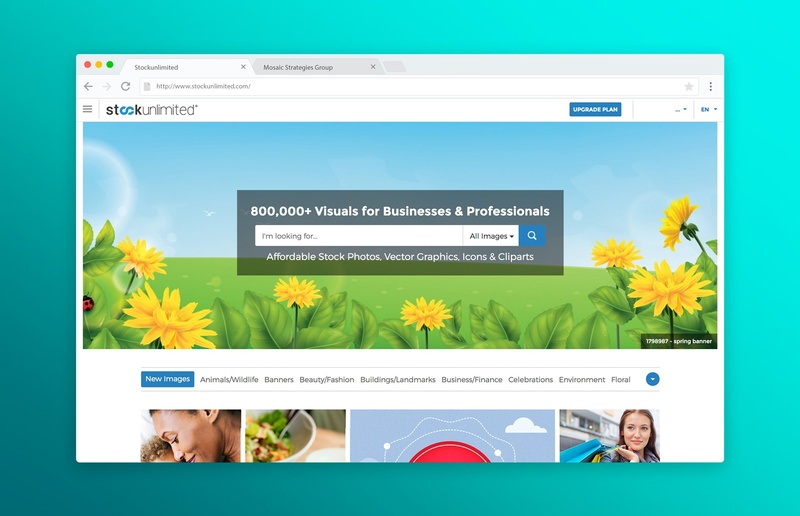 In addition to the resources Creative Cloud offers, Adobe has a great selection of stock photos available for a reasonable cost. Searching through the photos is easier and more intuitive compared to other stock photo site. For full transparency, some of the links above are affiliate links. We only endorse products that we love. 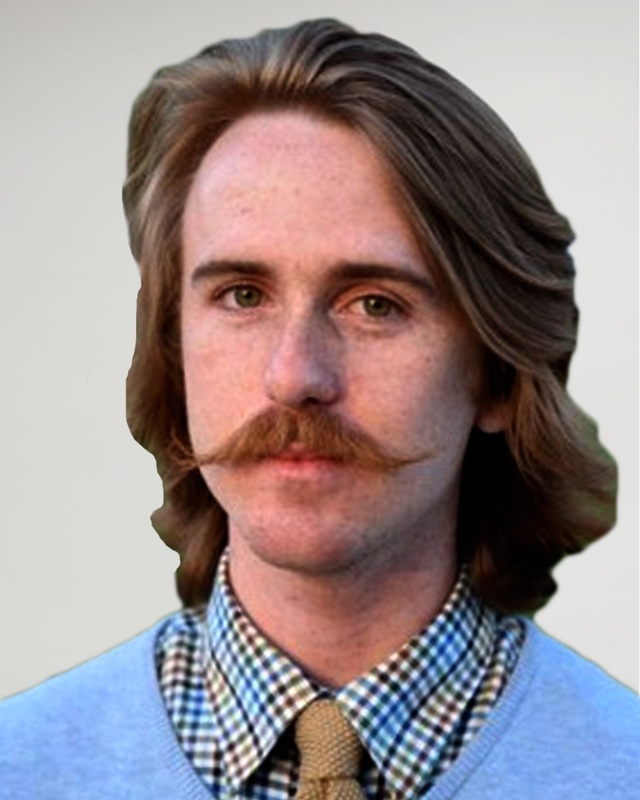 Walter Franks is a stellar designer for Mosaic Strategies Group. His cutting edge graphic design work drives engagement and action for clients across various industries. Lead Generation for Lawyers: Growth Using New Technology What's Your Data and Digital Strategy?